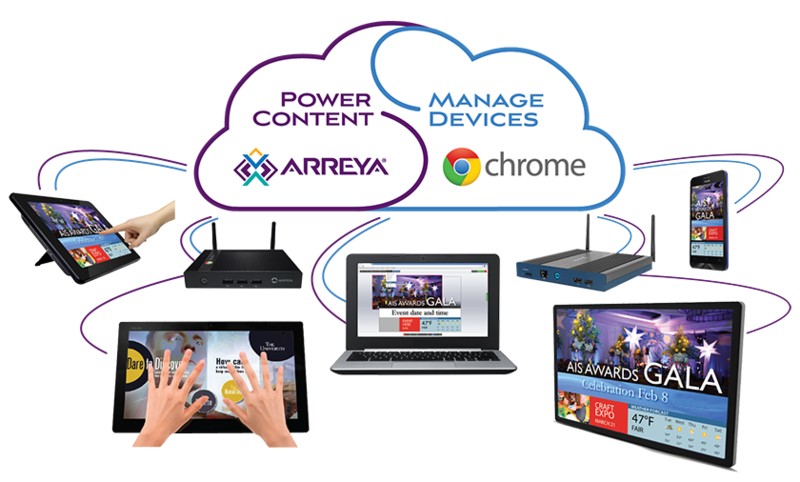 Why Arreya Uses Chrome for Digital Signage? There’s a lot of variety – from Chomebox to Chromebit to Chromebase. However, for not a lot of money you can buy a high performance device that can even integrate touch. 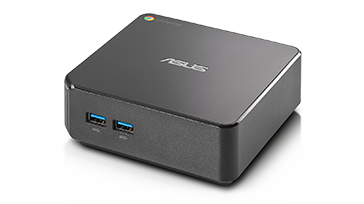 Chrome devices are built to keep working with simple, redundant architecture and no moving parts. Devices are current and automatically updated with today’s latest programming. Chrome Device Management makes it easy to remotely monitor the health of your devices, lock them down in kiosk mode, reboot, power on and off – even remotely capture screenshots to view what is being displayed. 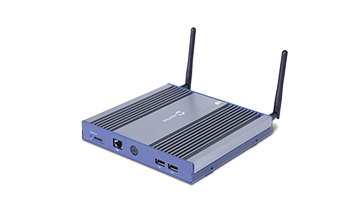 What Chrome Devices Are Best for Digital Signage? A plug and go device that is small and easy to install and can handle most signage needs. A standard unit for indoor applications that can handle all signage demands. An all in one unit for a wall or kiosk – touch available. It is a simple unit that can handle most signage needs. If you are worried about durability this is a robust option that will hold up to demanding environments inside and outdoors. Centrally pre-install signage required for each location. Configure signage to automatically launch when the device turns on. 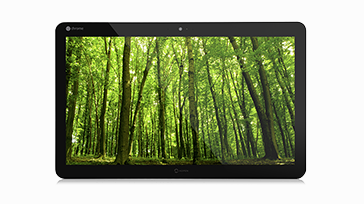 Monitor device health, receive alerts and notifications and advanced reports. Remotely reboot devices that need attention. Configure anything from guest networks to WPA2 Enterprise networks to 1000s of devices. Configure proxies and other features to keep them safe.